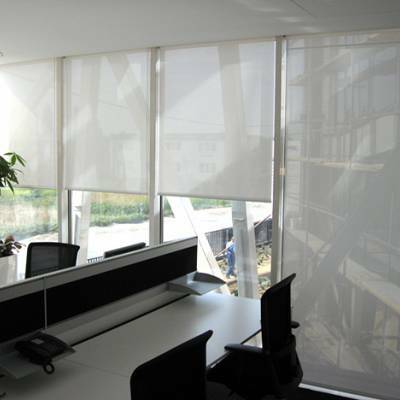 Exterior roller blinds, mounted on the outer side of the window, provide thermal, visual and aesthetic effect. With use of a transparent thermal screen screen, exterior roller blinds may stop up to 95% of the sun’s thermal energy from entering the room and thus prevent overheating. 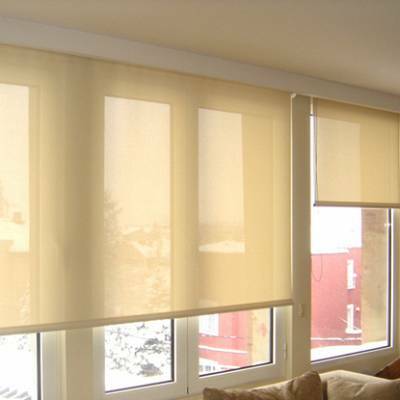 There is a variety of fabrics available in an assortment of different colors, translucency and heat insulation. 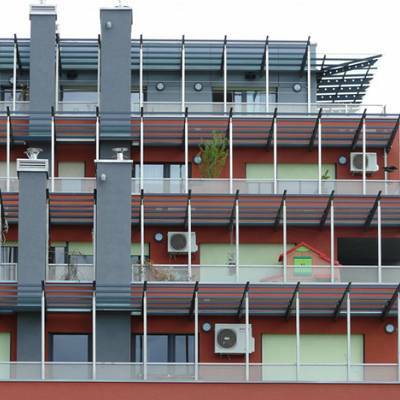 External dimming screens can be used for total blackout and thermal insulation at the same time. 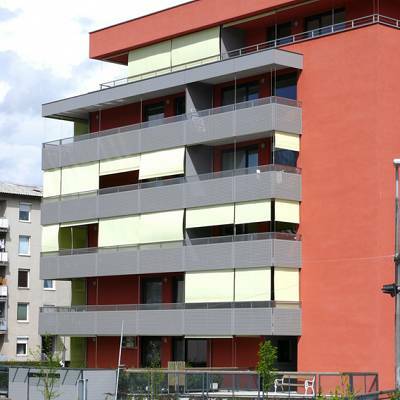 External roller shades come in aluminum cassettes and guides, or integrated into the facade. Suitable for outdoor and indoor use, up to a width of 5 meters. 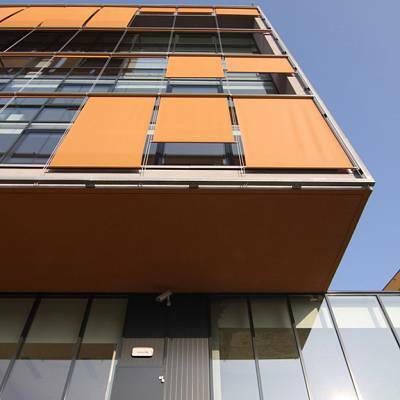 Particularly suitable for outdoor use and shading large façade surfaces. 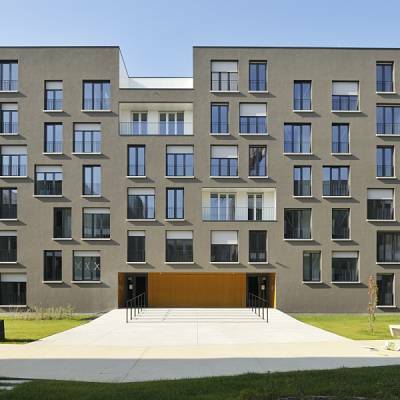 PROJECT RESIDENTIAL ESTATE – production and implementation of zip rollos. Production, supply, installation. 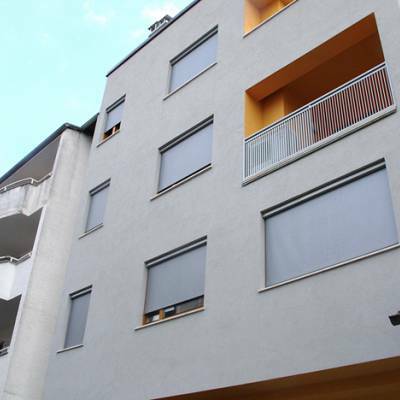 PROJECT RESIDENTIAL ESTATE – production and implementation of roller blinds K – SKY. Production, supply, installation. 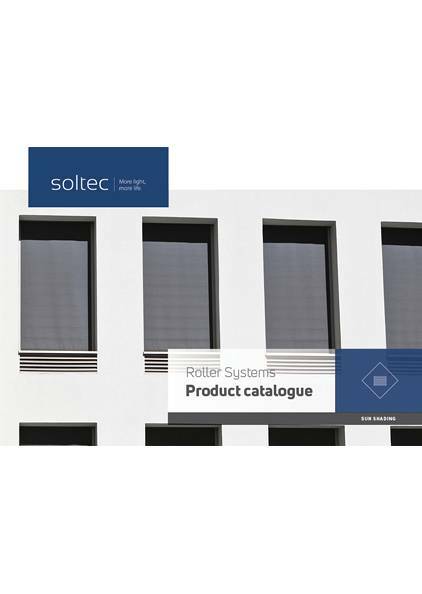 PROJECT RESIDENTIAL ESTATE – production and implementation of roller blinds K. Production, supply, installation. 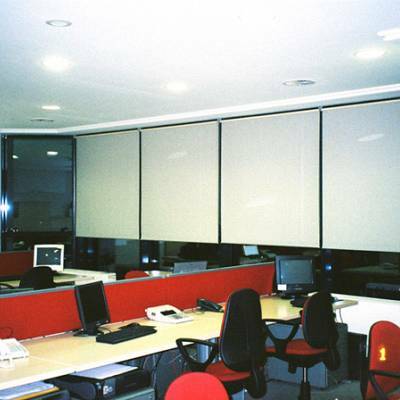 PROJECT COMMERCIAL BUILDING – production and implementation of roller blinds M. Production, supply, installation. 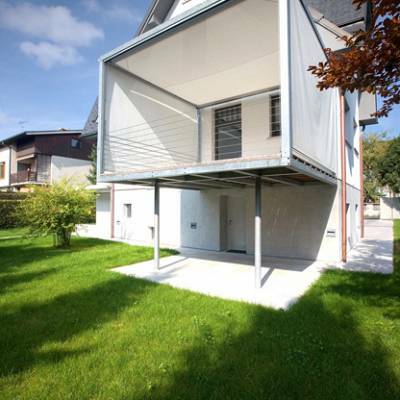 PROJECT INDIVIDUAL HOUSE – development, engineering, production and implementation of roller blinds open/close cubos.